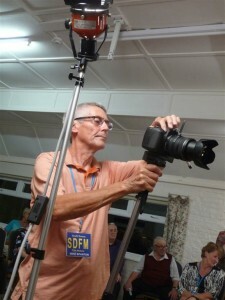 South Downs Film Makers was founded in 1989 as an amateur film making club. Technology has come a long way since those days and it is now possible – even for the relatively inexperienced enthusiast – to make professional quality films quite cheaply using digital media. We currently have around 35 members – both men and women. Many of our members are experienced filmmakers but many are novices who want to learn the art of filmmaking or improve their basic skills. We also have some members who prefer to be in front of the camera, acting. Although many of our members have their own filmmaking equipment, this is not by any means, essential. We are a friendly club and new members will always be made welcome. Our members are always ready to offer help and support, when needed. We aim to make all genres of film – dramas, comedies, documentaries, animations and AV presentations (i.e. slideshows). We have many projects currently in progress under the direction of our more experienced members. New members are encouraged to take an active role in these productions, whether as camera crew, sound, lighting or continuity. As part of our commitment to the community, we welcome the opportunity to make promotional films for local charities and institutions. Our films are shown during club meetings and, where appropriate, the best are entered into regional and national amateur film making competitions. 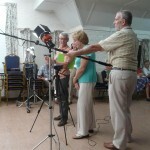 We also show our films in the local community to social groups and the like and these are always popular. We aim to provide a varied programme of talks, workshops, film shows and competitions. We have a lively social calendar including an annual dinner. We also have a monthly newsletter.